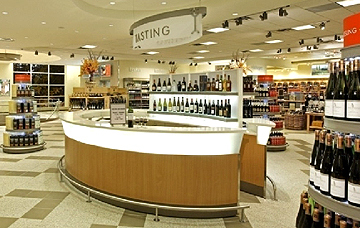 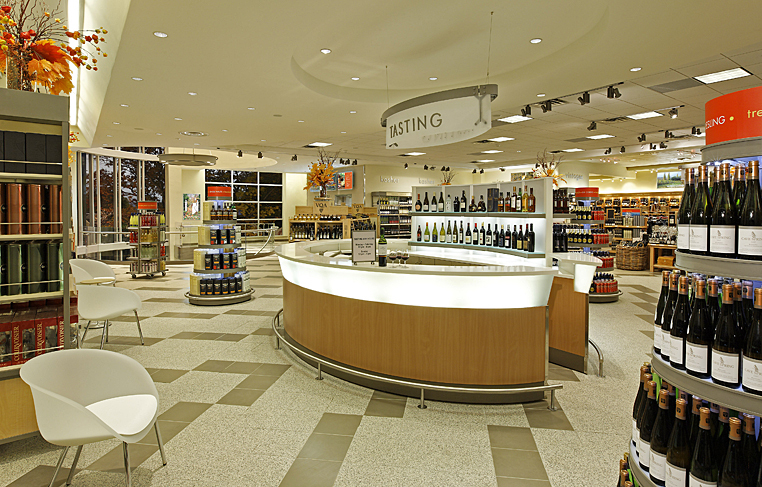 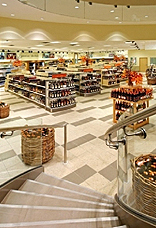 Needing to relocate a successful established branch, yet still provide continued service to the surrounding affluent neighbourhood, the LCBO decided to participate in the redevelopment of a small nearby site. 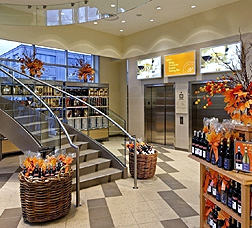 To maximize the available footprint, supplement limited street parking and expand selling space, a two-storey building complete with underground parking was planned. 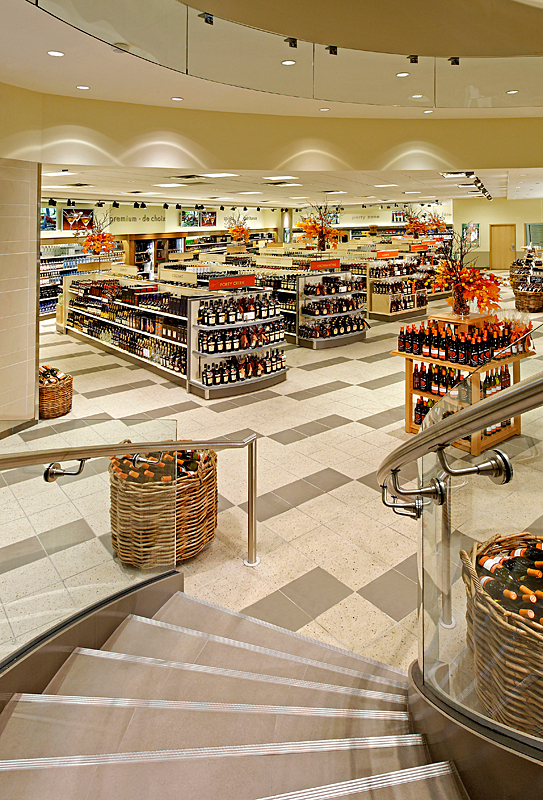 As both a challenging multi-level space and a neighbourhood store focused on serving the needs of the community, visibility and accessibility were essential to connect with the customer and create an engaging shopping experience. 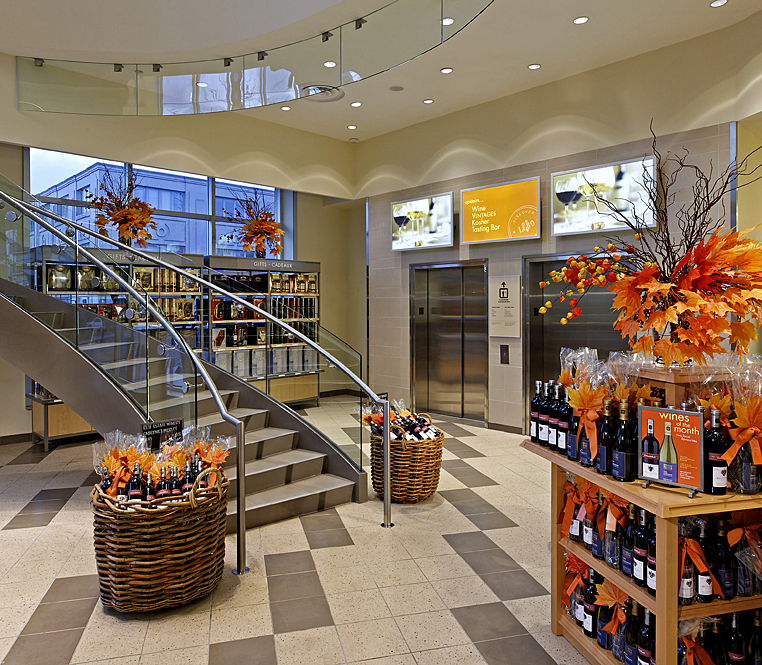 With expansive glazing, an inviting curved staircase and a tasting bar overlooking the surrounding streetscape, even at 18,500 sq ft, this neighbourhood store blends seamlessly into the well-established, residential community.